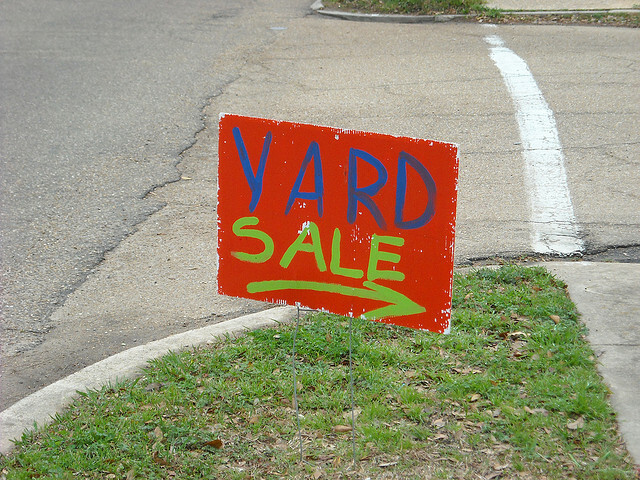 Yard signs, an affordable marketing tool used by many, to advertise the business. They help the business to increase the awareness of its products and services. They are also used to organize an event to entice present and potential customers. Due to its repeated exposure, it helps to boost the name recognition and bring revenue. However, not all the signs can be used for business purpose. They can also be used for personal use. Who don’t want to be recognized on his or her birthday? No matter whether it is an excitable young kid or an elder, birthdays have always been a memorable way to highlight the special day. Printing yard sign is an extremely useful tool for directing guests to a birthday party. Generally, many guests are unfamiliar with the exact party location, so it’s important to have such signs which let them to know the exact place. Wedding anniversary is without a doubt one of the most important celebrations in the life. Giving a gift to a partner, regardless of the occasion is a sign of love. But giving especially on a wedding anniversary shows your everlasting affection and loyalty. Flowers or jewellery have always been a great gift, but what could be the best way than showing your love to the entire world. One can order a special anniversary yard sign to show others, about how much you care for your partner or represent the number of years you’ve been together. Since, majority of the clubs and organizations have limited budget to do marketing, it’s important to find an affordable ways of marketing. Yard signs have always been very helpful to promote the efforts and to raise fund for the group. Apart from that, if the organization wants some member or planning an upcoming meeting, they can display such signs and let people know about their event. Yard signs are undeniably the most useful tool for publicity. With them one can promote a variety of community events, be it a church service or a community theatre performance. Even if the events are organized on an annual base, one can store and use them for the next year. Whether it is a student in college or spouse on a business trip, each family welcome somebody home at some point. Yard signs are one of the best ways to greet your loved one at the airport, by displaying a picture or a special message. This shows your care and make the traveler also happy knowing that they were missed. Since, homes have always been the target for burglars and rough teenagers, such signs can alert potential burglars to stay away from the home. They help to advertise your home security alarm system or the safety precautions you have taken in your place.